Three plugs, four USBs, neatly presented with some stylish aluminium around the outside. 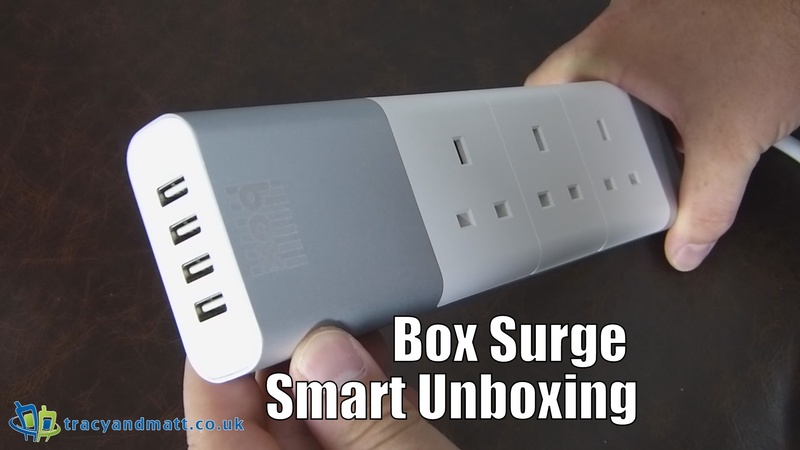 That’s the Box Smart Surge in a nutshell. Milled on a CNC machine out of a single billet of 6061 aluminum. Four intelligent USB ports to the side of the Surge Unit to allow for simultaneous device charging. Power often fluctuates during the day; this could be caused by high drain devices (washing machines, fridge freezers) turning on and off. I.T equipment contains sensitive microprocessors that can be damaged over time by these fluctuations in power. The MOV procession built into the Surge Smart protects devices from damage through both minor changes in power and catastrophic events like lightning strikes.